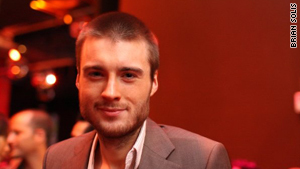 Mashable's Pete Cashmore says the first generation of iPad magazine apps falls short. (CNN) -- Much has been said about the iPad's ability to reinvigorate the publishing industry. But the first generation of magazine apps on the iPad fall short: They're an attempt to turn the clock back, rather than move the medium forward. Having splurged on a half-dozen iPad magazines this month, they're now gathering dust on my home screen, never to be read again. Perhaps the most dazzling magazine app on the iPad is Wired magazine. Developed in partnership with Adobe, the app sold 73,000 copies in the first nine days after launch. At a cost of $4.99 for a single issue (versus $10 for an entire year of the print edition), that would appear to be a massive success for publisher Condé Nast. What's more, the iPad edition outsold the print edition this month. The app is a faithful recreation of the printed magazine, with pages of text and images to leaf through. And that's a problem. Despite the initial novelty of "swiping" to turn a page -- not to mention interactive photo galleries, beautifully designed charts, audio snippets and videos -- the app possesses the disadvantages of print without acknowledging the opportunities of the digital medium. Ads, for instance -- lots of them. Unlike the easily ignored banner ads on Wired's website, in the iPad app you find yourself assaulted by full-page brand advertising for the likes of Heineken, Samsung and Continental Airlines. Wired wants you to read the app like a magazine, too: one page at a time. Little is done to improve navigation beyond the ability to view a list of all the articles in the issue. And more than 11 years after Google made every webpage accessible from the search bar, the Wired app inexplicably lacks a search function. I don't mean to single out Wired: Popular Science, Time, GQ and others all seek to repackage magazine content in an iPad shell. These too are novel upon your first viewing, but it soon transpires that most are simply a series of static pages intended to be read sequentially. How can we do digital better? How about links? Blogs create an evolving dialogue by linking to one another, building upon the work of others and enabling the reader fully to investigate the sourcing of a story -- even if that means pushing eyeballs to competitive publications. For instance, I can link to venture capitalist Fred Wilson's critique of iPad magazines, which makes similar criticisms. The publishers of iPad apps seem largely disinterested in linking to webpages. Perhaps this is a relic of their print editions. There's a bigger problem with the lack of links: If I decide I particularly like an article within an iPad app, there's no way to link to it. Even if I could, you would need to buy the app to see what I'm talking about. Putting magazines back into this bundled format completely ignores the atomization of media that occurred with the rise of the Web: Every piece of content is located and referenced using a link. It's like being forced to download the entire album when you only wanted one song. How about sharing? Most iPad magazines don't seem to support it. So if I like this Wired feature about Mars, I can't share my enthusiasm with you. Even if I could post a tweet or Facebook message, you'd be unable to view the article without downloading the app. iPad magazines, it seems, have bypassed the content curation trend that's swept the Web in recent years: Without sharing, my friends can't help me find the good stuff. Which brings us to personalization. While news websites increasingly attempt to rank content based on your preferences and the recommendations of your friends (including, for instance, the Facebook-powered "Likes" feature on CNN.com), iPad magazines don't appear to care much for your personal proclivities -- the Wired app is the same for everyone, served up in an order determined solely by the publication's editors. Even the ability to mark an article as a favorite seems absent in the majority of cases. Comments? These too are absent, making iPad magazines a fairly passive reading experience. The Popular Science app even includes the "Letters" section from the magazine -- on an Internet-connected device in 2010, the only opportunity for readers to talk back is limited to three letters, selected by the editors. PopSci.com, by contrast, encourages commentary from readers: Visitors to the website engage in heated debates, add new information and correct factual errors. It feels to me as if iPad magazines are at risk of being the next CD-ROMs, the "interactive" element providing only a passing nod to the rise of truly engaging media formats. (It's an analogy already made by the TechDirt blog, among others.) Or perhaps they're more like early days of Flash websites, wherein website owners leapt upon the opportunity to adorn their pages with slick-looking animations, videos and transitions. Only later did they realize that all-Flash websites are both cumbersome and break the core functionality of the Web -- namely, the ability to link to individual pieces of content. The next generation of iPad magazine apps may see vast improvements. Condé Nast this week previewed the Gourmet Live app, which will offer personalization, a "favorites" feature and the ability to share articles with friends. How Gourmet Live and other new apps overcome the "linking problem" remains to be seen, but one solution is obvious: Forget the apps, use the Web instead.